Are you in need of a waste clearance? Welcome to Phoenix House Clearances, we love to clear junk and waste clearances, we are the North of England's premier house clearance company! 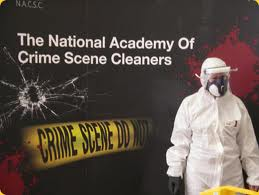 We are insured, licenced and registered with the UK House Clearance Association, the UK Environment Agency and also The National Academy of Crime Scene Cleaners. Our trade waste carriers licence No is CB/YM3181NP/A001. 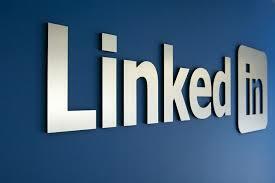 We also have a good reputation to maintain, please read some of our testimonials here. We operate 7 days a week between 8.00am - 6.00pm but have an out of hours emergency service if necessary! What's more if you book online you will save 10%! We will also provide a basic home clean of your property when the clearance is complete. Are you feeling a little fragile right now? Whatever the reason for your house clearance, we can help! You may be emotionally traumatised! We never forget with most house clearances we are dealing with peoples loss, feelings & possessions that may hold sentimental & emotional memories. For this reason we are always happy to pick the keys up or have them sent to us via recorded mail, that way you don't have to be at the property, we can even pack valuables and deliver or store them for you. Once completed we will e-mail you pictures if required. 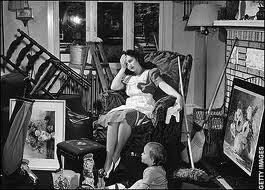 Once we complete your house clearance you can move on with your life! Many clients report it felt like a great weight had been lifted from them after the clearance was completed! 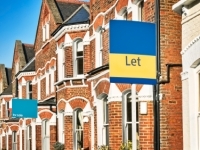 You will now be finally free to sell, rent, go on holiday or move house quicker! We're also confident we can save you money, stress and time if your finding it hard to get time of work. You will finally have closure, reduce stress and move on with your life. If you do decide to hire our services we have the necessary manpower and junk removal vehicles. We will load all your unwanted junk into our vehicle, give your place a nice cleaning up as well. It is so easy to get rid of junk with a professional junk removal service. Piled up junk certainly does not help beautify any environment. It can also be an easy way to invite insects, vermin, bad odor and disease. Junk can include rubbish and dirt, broken down appliances and gadgets, old furniture, clothes, scrap metal, old toys, cardboard boxes, newspapers, and basically any used or old item that is no longer being used. Instead of compromising your health and those of your neighbors, why not get a professional junk collection firm to help come clear the junk off your premises. Don't worry about how much junk there is! A lot of people hesitate to call a junk collection waste disposal firm because they are afraid or feel ashamed of what we will find. Please don't think like this, we have seen it all before, you may be organizing the clearance on behalf of someone else. The 3rd party may be mentally ill or not been able to physically maintain the property. Simply call us and book a time when we can come over, assess your junk, offer valuable advice and give you a quote for free. You can then decide to hire us or not, there is no obligation. How to avoid a large fine? With a Phoenix House Clearance professional junk collection service you can be sure that your junk will be disposed off properly. Recyclable items will be taken to be recycled while items, waste and dirt that cannot be recycled will be disposed off at legal authorized sites.